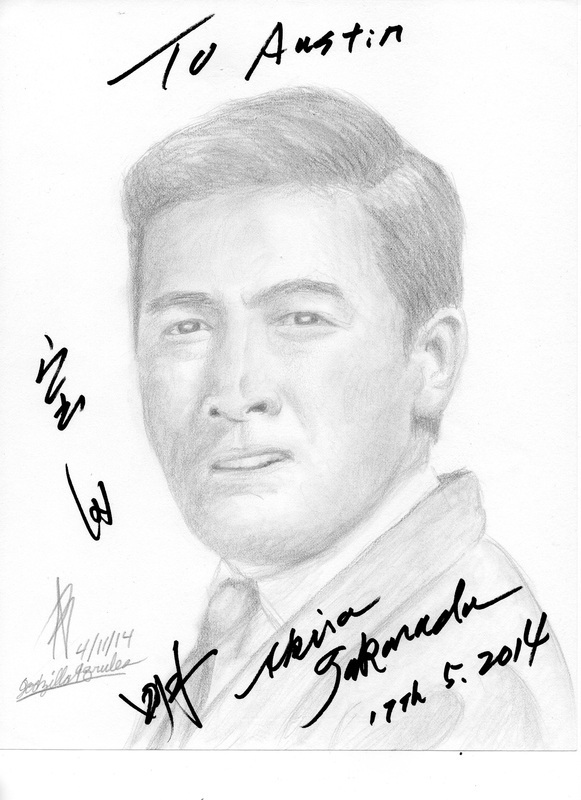 I decided to do another portrait of Akira Takarada. 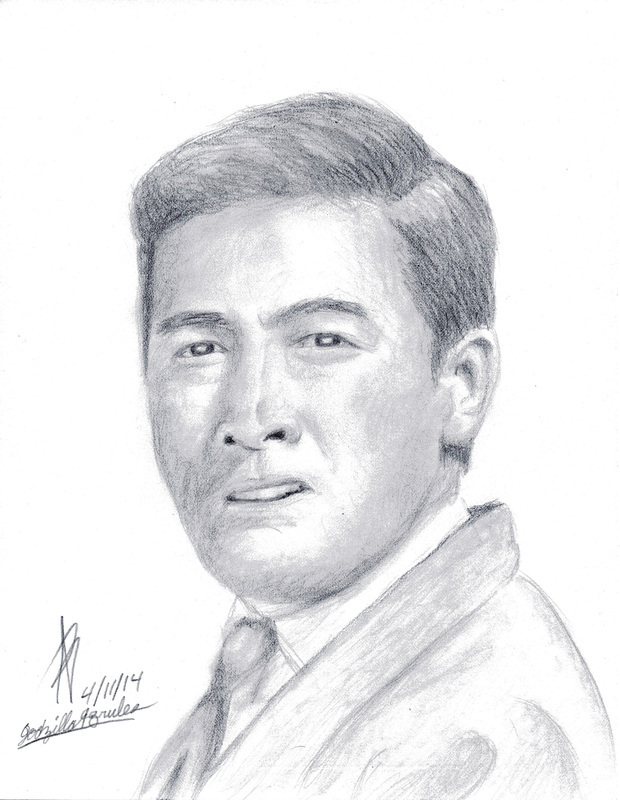 This is my latest portrait as of this post (4/12/14). Compared to my first attempt years ago, there is no doubt that I've greatly improved with portrait drawing. I love how this portrait came out and I feel that it is one of my better examples. 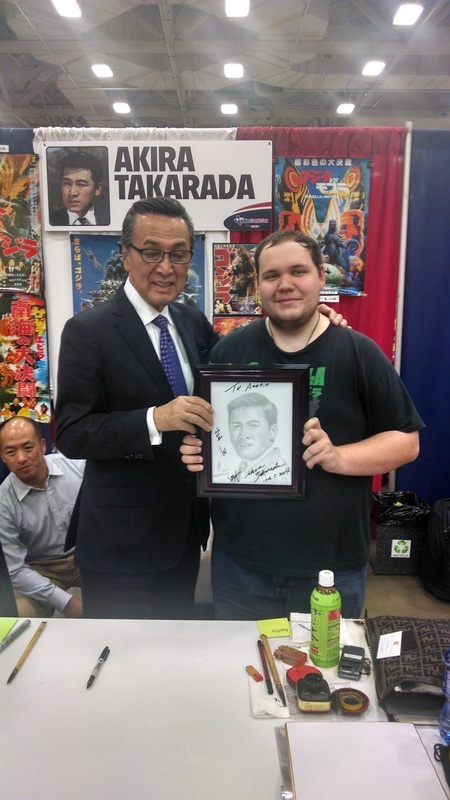 I went to a convention in Dallas, Texas and met Akira Takrada in person! I got pictures with him and he signed my portrait! Here it is.